Foursquare has always had two core use cases: sharing your location with friends and searching for the best venues nearby. Through research, we found users either opened the app to search, or to check-in, but rarely both at the same time. In an effort to improve the user experience, we made a bold decision to separate our two use cases into their own standalone apps: One devoted to sharing your location and the other for personalized local search. This meant moving the check-in functionality out of Foursquare to a second app, Swarm, to focus on becoming the smartest, most personalized way to discover new places. We worked with Red Antler to design a new logo to signal this change. As Foursquare’s Brand Designer, it was my role to implement this new brand across all product and marketing and to create and maintain a detailed brand guide documenting the new look. 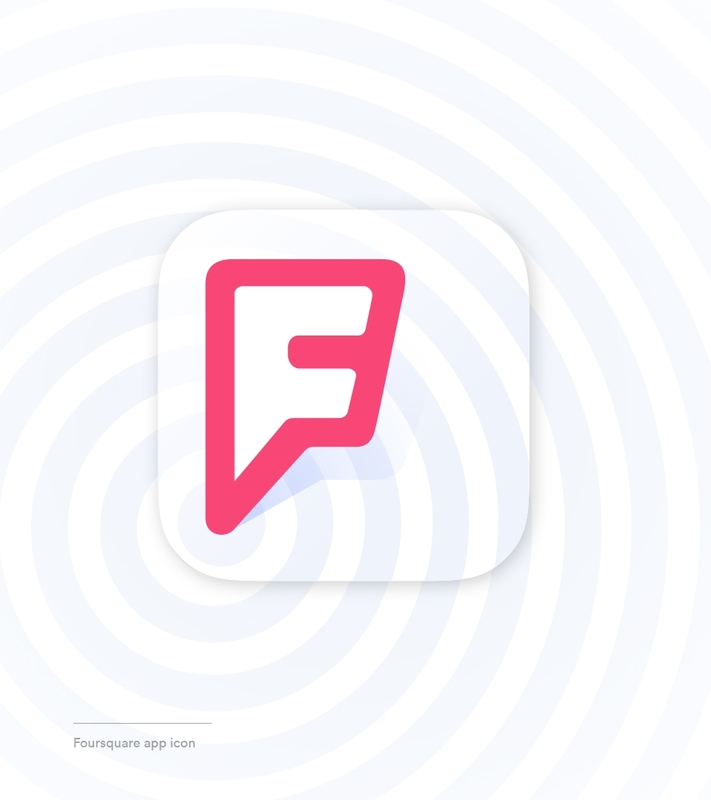 After establishing its look and feel, I worked with the Product team to introduce the Foursquare brand and its personality into the app experience. 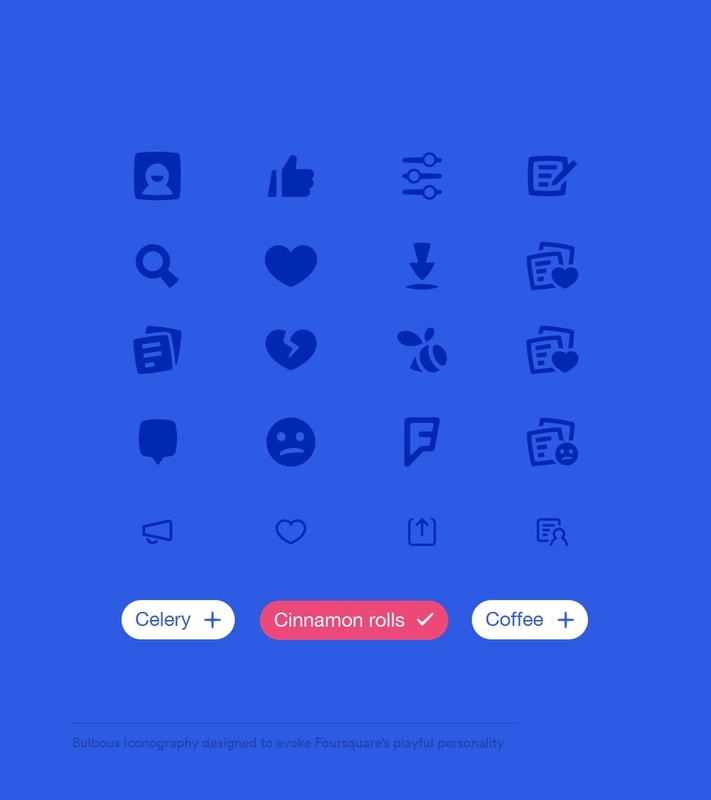 Though we had removed game mechanics, we wanted the iconography to evoke the playful personality Foursquare has always been known for. 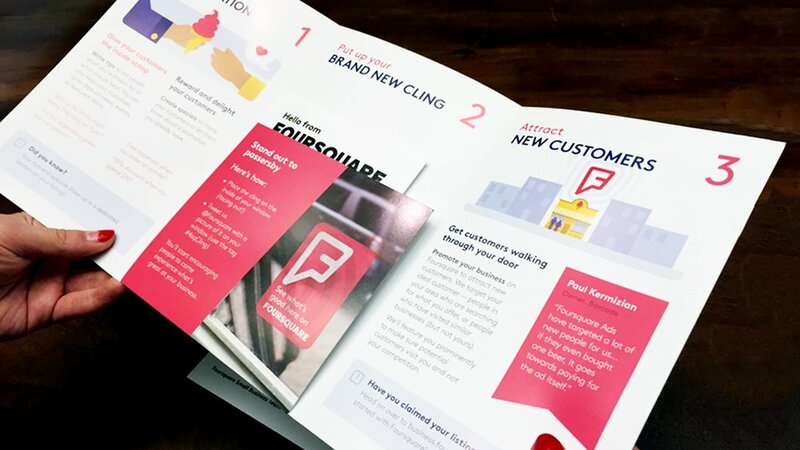 After the product's launch, we designed a direct mailer used as an opportunity to introduce businesses Foursquare's all new rebrand for the first time. The brochure was mailed to over 50,000 businesses across the nation. As Brand Designer, I was tasked to create and maintain a detailed brand guide highlighting key elements of Foursquare's brand system and design best practices. Logos and iconography rendered in Illustrator. Brand guide and print material designed and assembled in InDesign. UI rendered in Sketch.